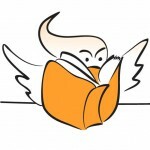 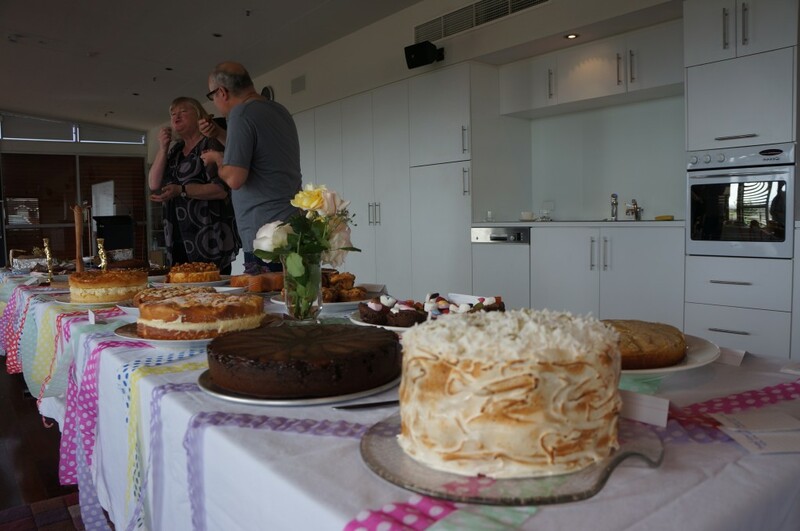 Should you be a regular reader of our blog or follow us on social media you may know we like cake, and our Instagram feed typically supports this suggestion. 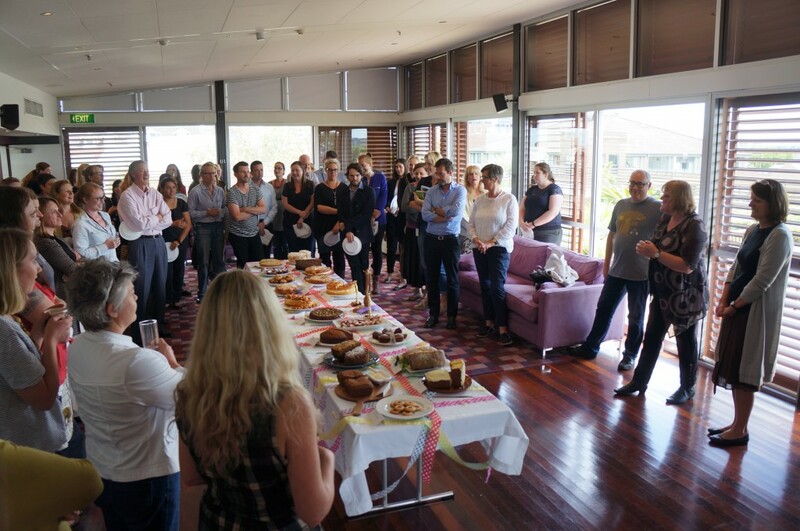 It isn’t just eating cake that we’re into though, as nice as that is, we’re a company of bakers as much as we are readers, so every year we throw down the gauntlet to our staff to see who can create the most delicious baked goods. And it gets competitive. 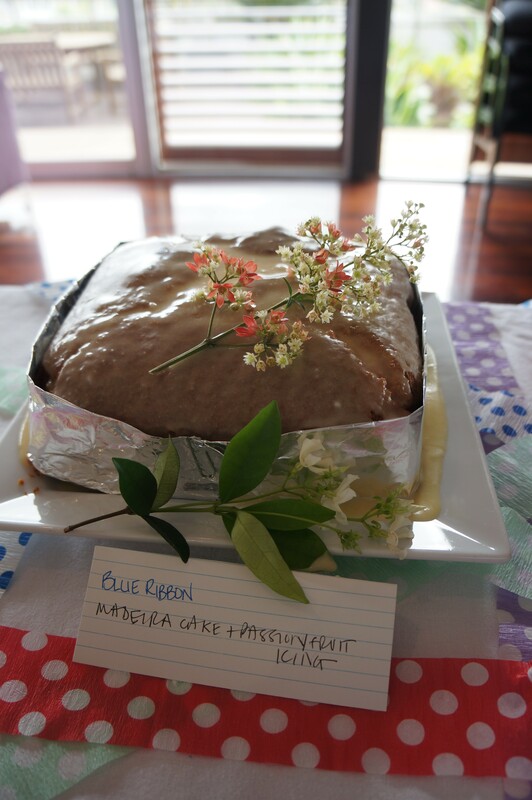 It didn’t really need encouragement, but this year it got even more competitive, as alongside the anything-goes Freestyle category, we introduced a Blue Ribbon competition in honour of one of our judges – Liz Harfull. 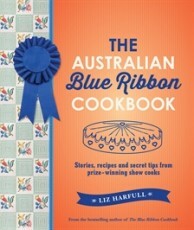 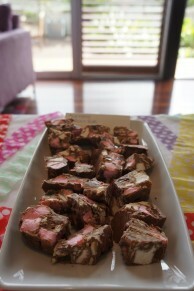 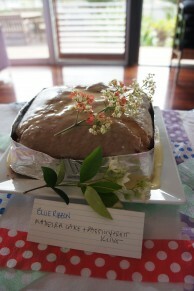 Liz has collected years of experience at Australia’s agricultural shows into The Australian Blue Ribbon Cookbook, which shares both the cooking tips and the fascinating stories from 70 of the best show cooks across Australia, so who better to invite in to taste test the best our staff had to offer! 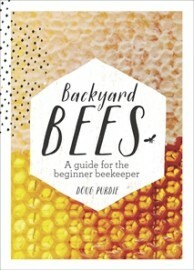 Joining Liz was Doug Purdie, the beevangelist and author of Backyard Bees, a great guide to beekeeping for the beginner. 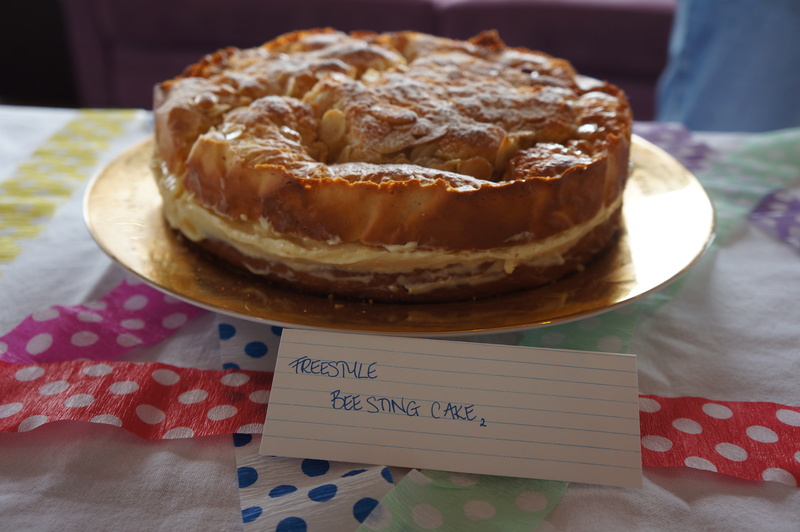 Doug is a man who knows his way around sweet treats as much as he does beehives, as his book includes a fair few honey based recipes, but would our staff be pandering to his taste with honey laced treats? 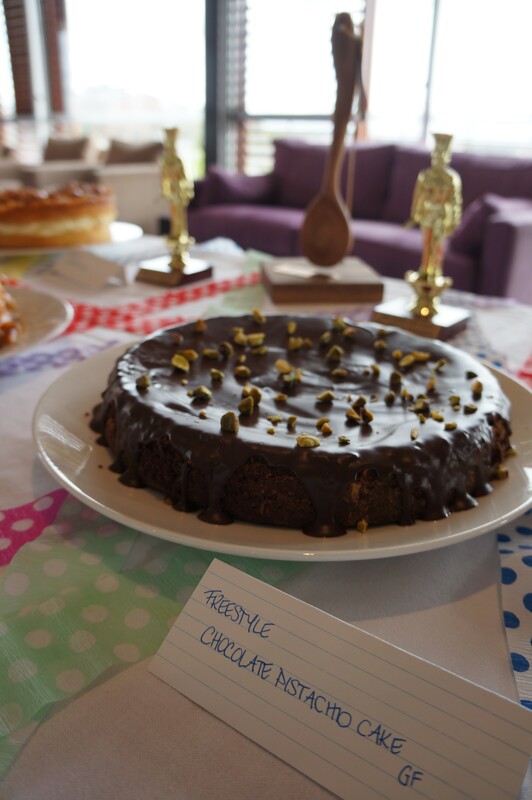 She wasn’t joking either, while the ruler didn’t come out, Liz applied some of the rules of show judging to the proceedings – making this our most serious bake off judging process yet! 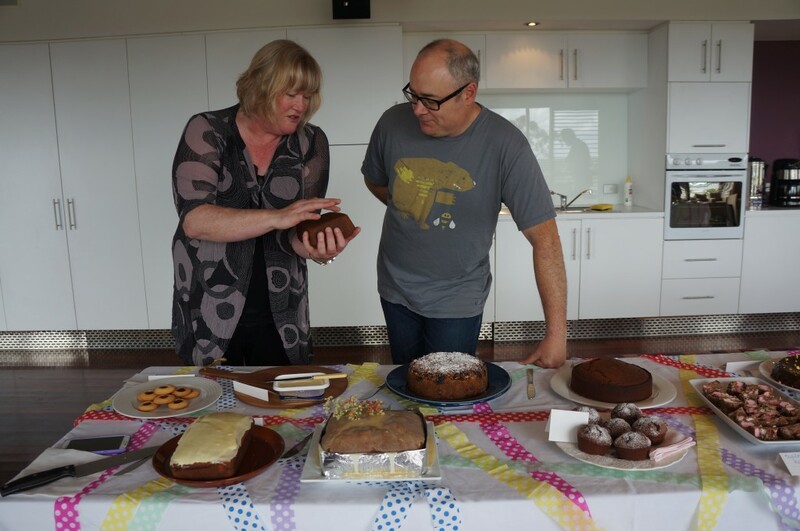 Liz’s explanation of show judging seemed contagious, as Doug too got very involved in the process which started by looking at the outside and checking that the cake is perfectly cooked, then checking the bottom for cooling rack marks which is a big no-no! 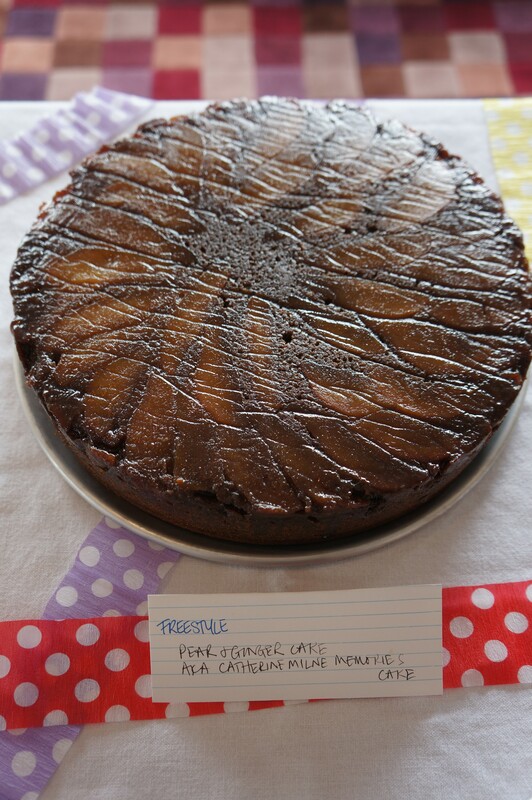 The middle was then cut in half, to check for things like the correct texture or any hidden imperfections, as this is where they’re often found. 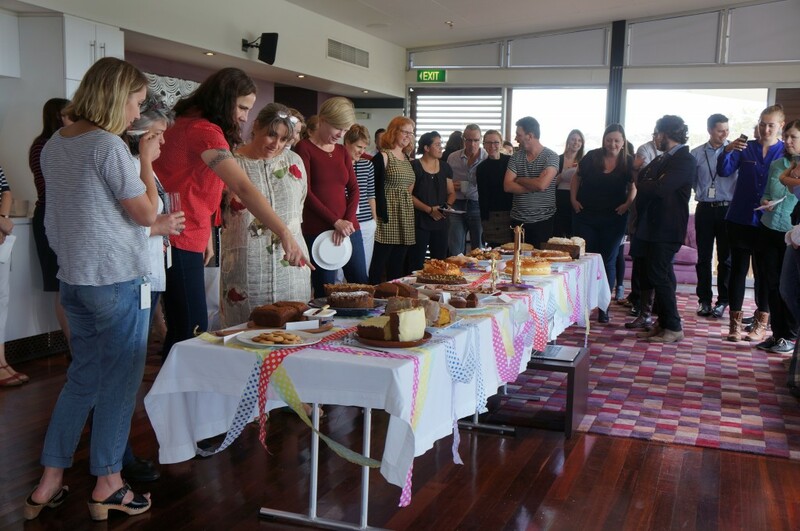 Then they had a taste (of a small piece, sometimes having seconds) and finally took into consideration the overall appearance of the cake. 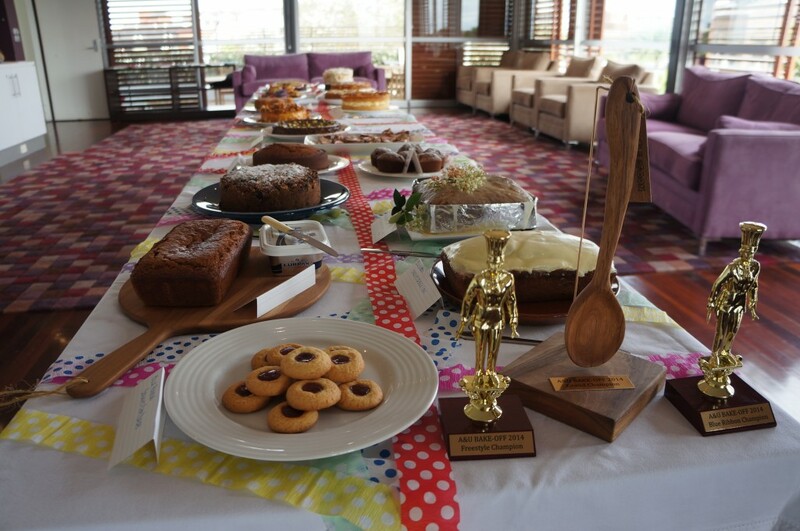 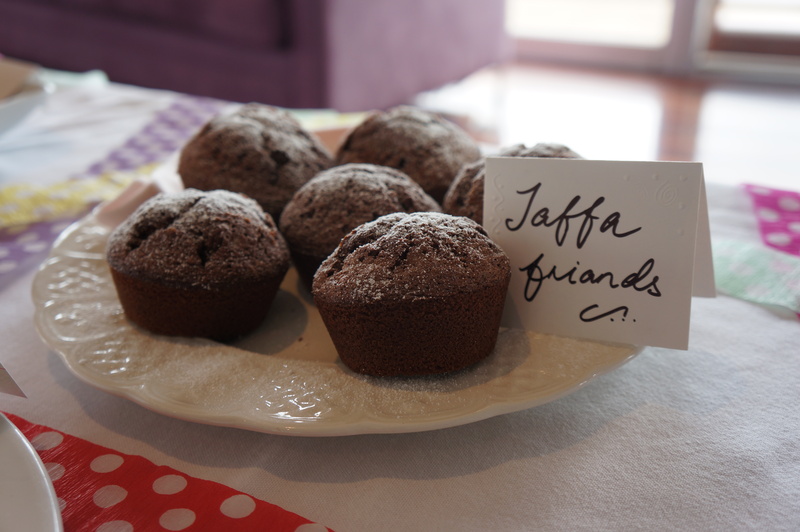 With nineteen entries across the two categories, the judging took some time as they deliberated over their choices in each category and the overall victor, but eventually they came to their decisions and were ready to announce them to staff (who were waiting patiently for both the awards, and more importantly the eating). 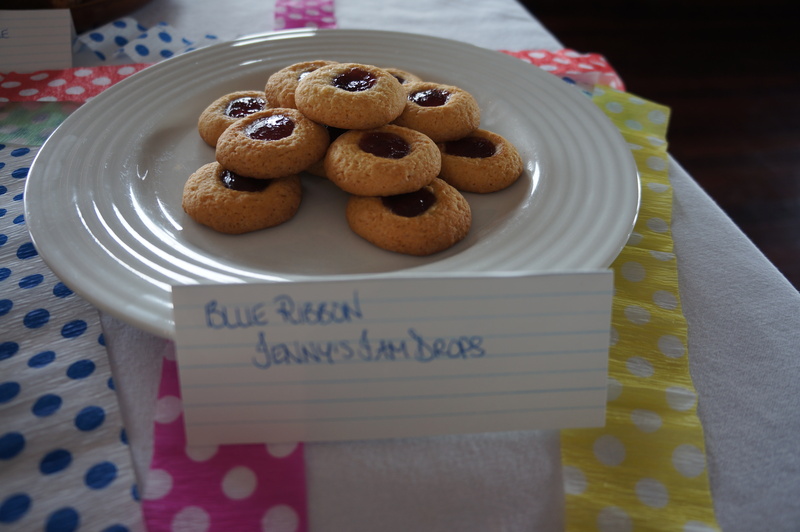 The entry that was the most perfect in all the criteria is what might look like the simplest thing on the table, but the simplest things are sometimes the hardest things to get right, and that is the Jam Drops – I could see them in the Sydney Royal next year! 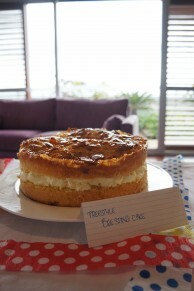 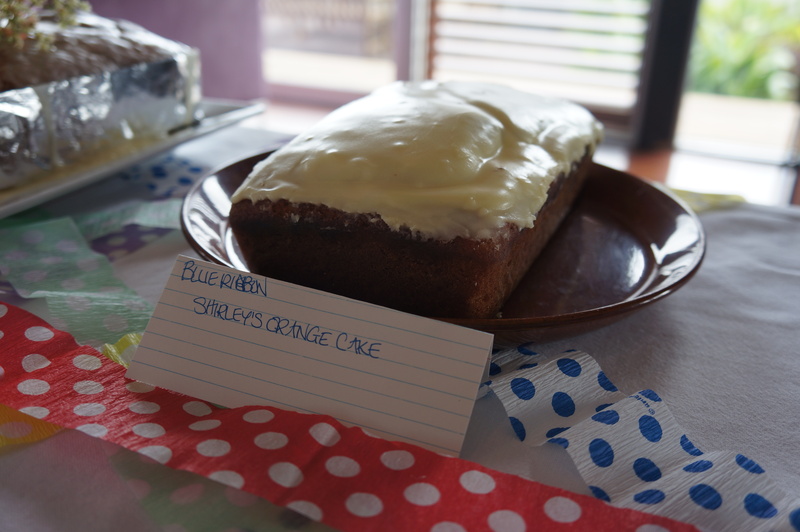 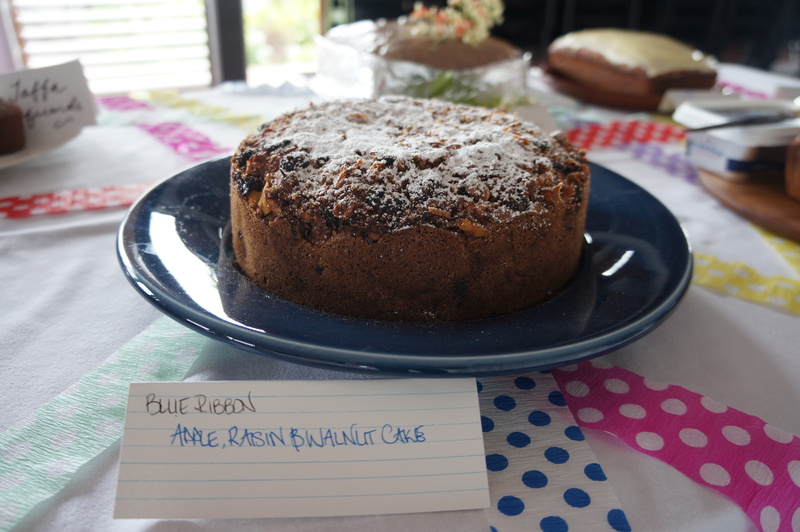 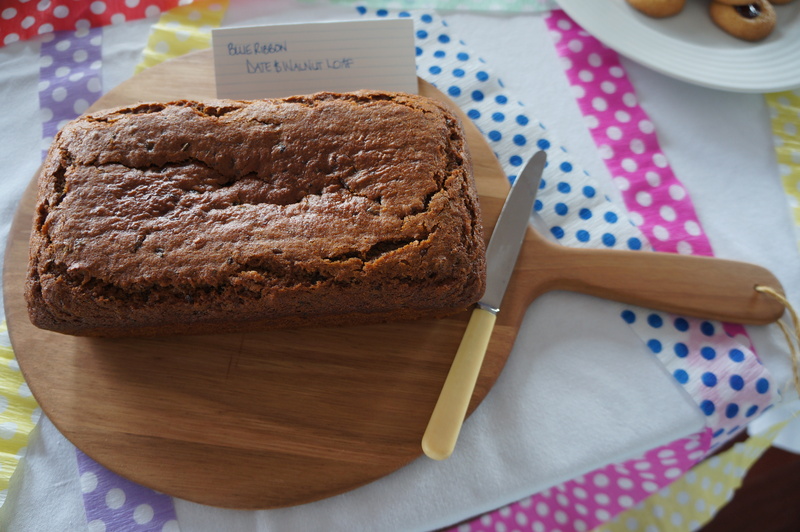 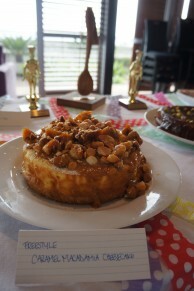 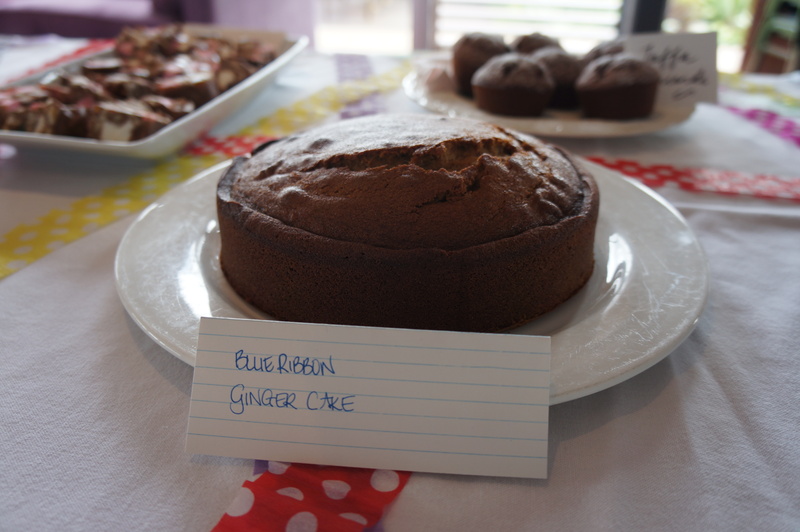 Highly commended in the Blue Ribbon category were the Orange Cake and the Walnut and (a lot of) Whisky Cake! 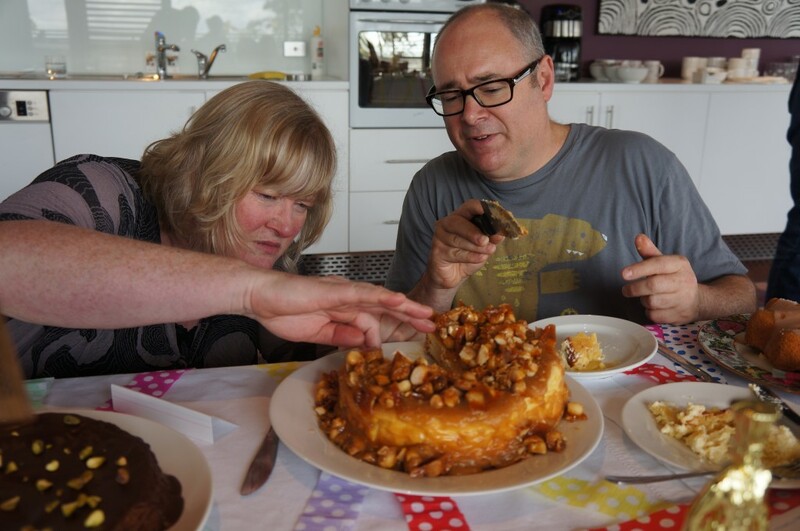 This was very complicated, and was very interesting, and the cake that won surprised both of us, it looks incredibly heavy but it is all sort of light and airy, it was the cheesecake! It just was surprising on so many levels, the flavour and the counterbalance of the burnt toffee, it just melts in your mouth and vanishes. 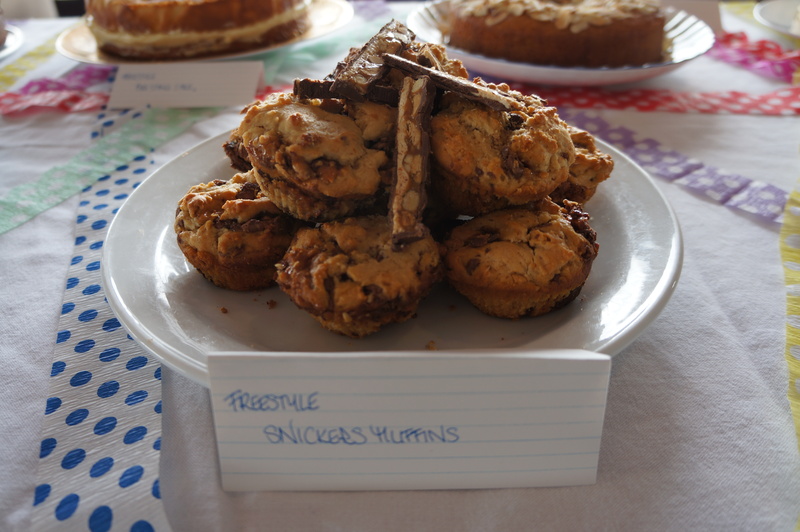 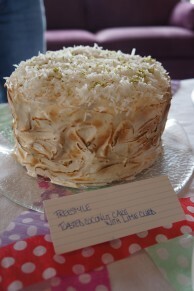 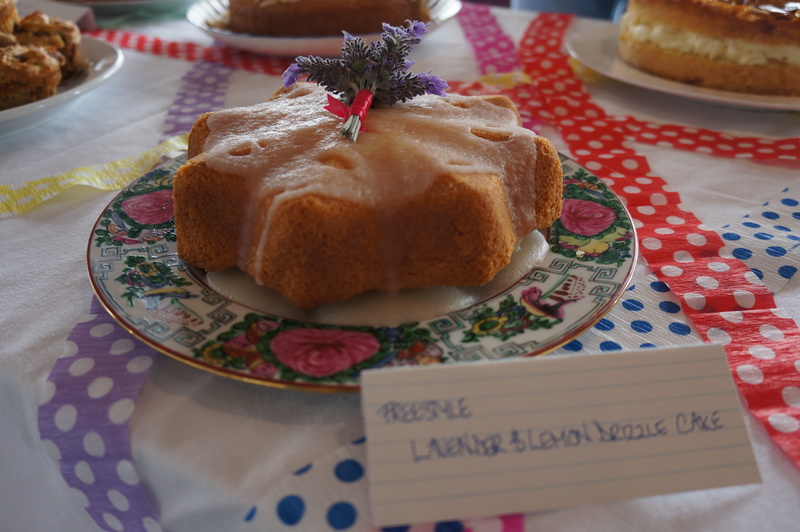 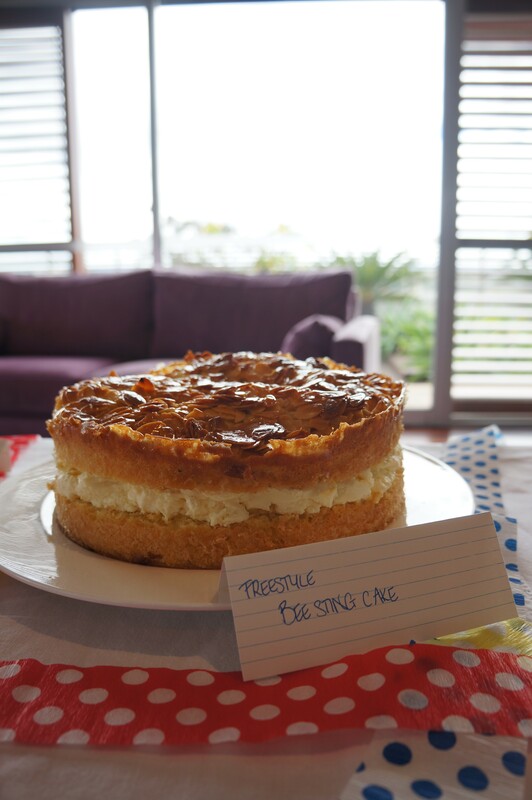 Highly commended in the Freestyle category were the Toasted Coconut and Lime Curd Cake, along with the Pear and Ginger Cake. 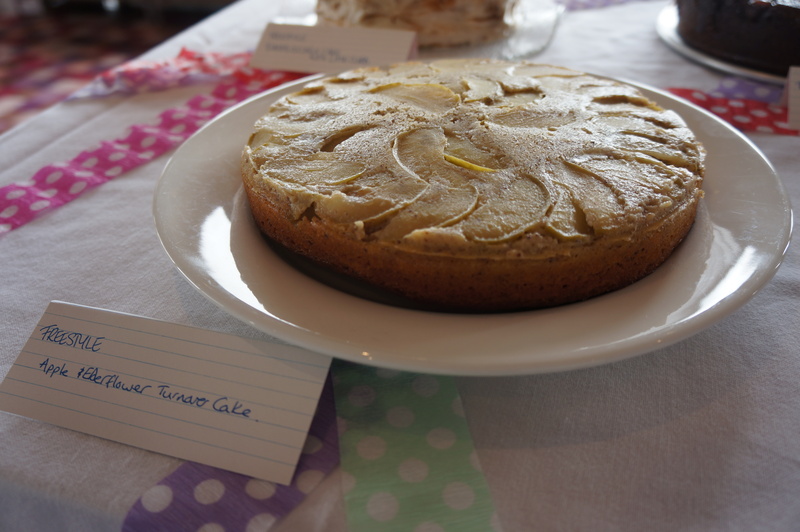 Technically there is a lot of processes needed to turn out this cake, so a high skill level, and working with yeast is always a bit tricky, it tastes beautifully of honey and it looks the part, it was beautifully cooked all the way round. 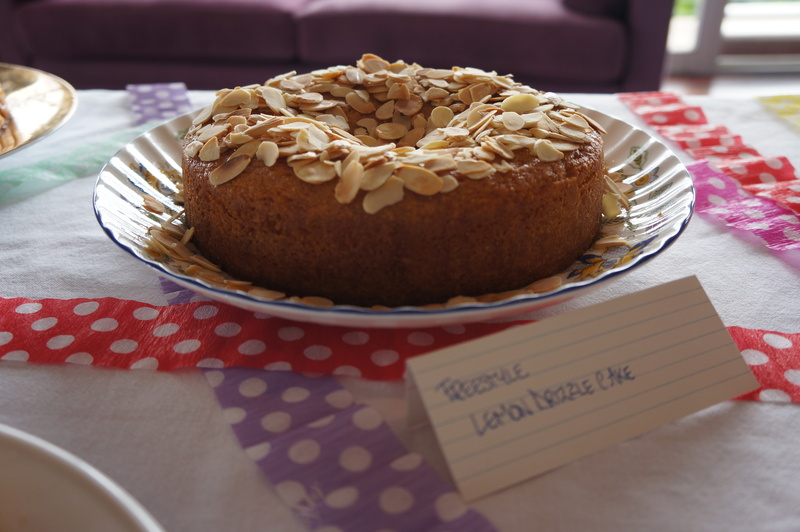 Somewhat controversially, the baker is Doug’s publisher, and the recipe comes from his book, but the identity of the baker was unknown until judging was finished! 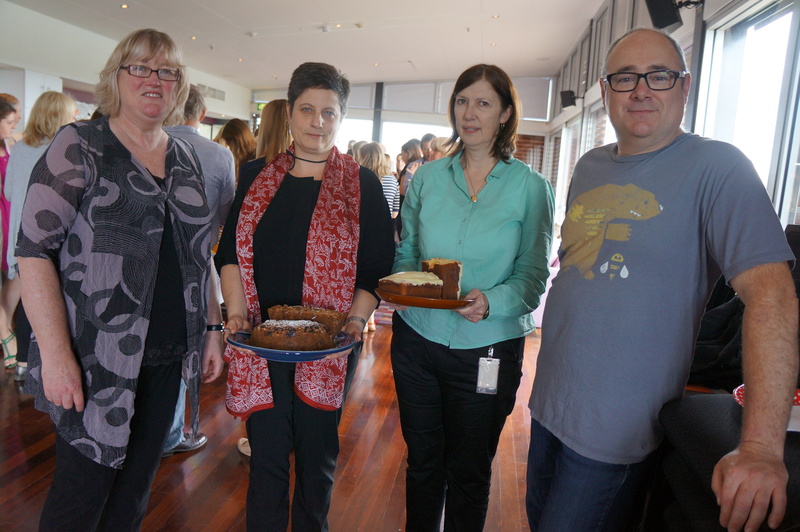 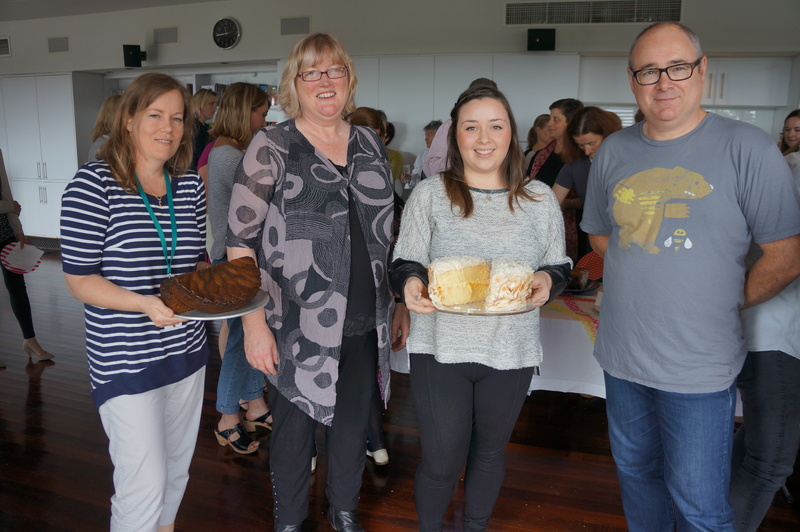 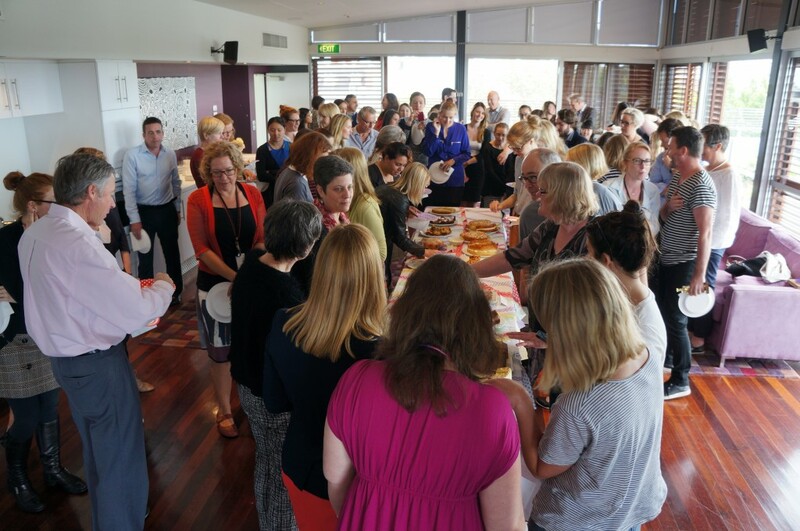 A huge thank you to our judges who tackled this onerous challenge with an incredible level of professionalism, and to our staff who polished off all the cake and helped raise money for our friends at the Indigenous Literacy Foundation in the process. 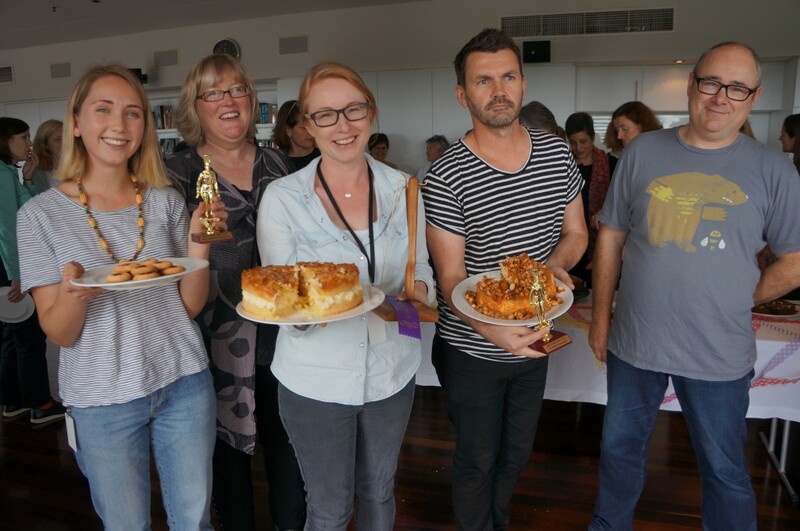 While you can’t win these cakes, we’ve got the next best thing – signed copies of both Liz Harfull’s The Australian Blue Ribbon Cookbook and Doug Purdie’s Backyard Bees to giveaway to one lucky winner – just leave a comment below with what your entry would be to a baking contest (feel free to include a picture!) 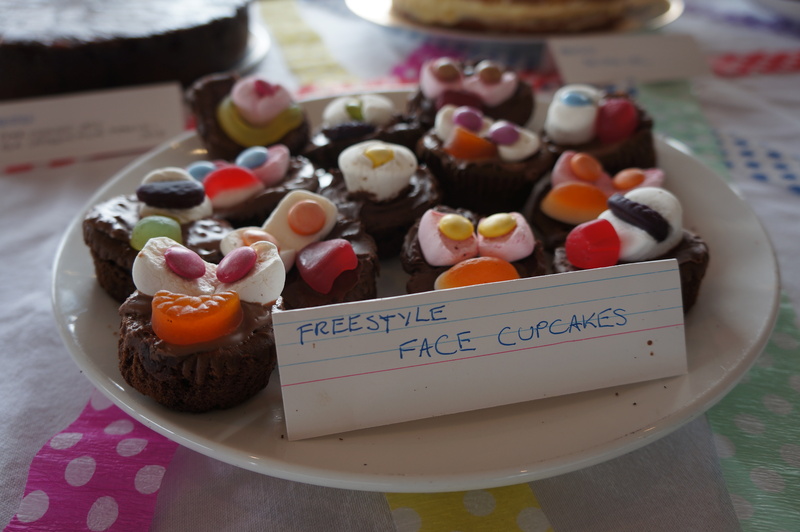 and we’ll pick our favourite! 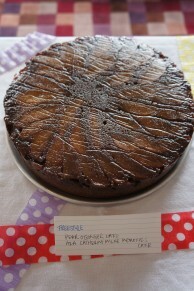 Entries must include a contact e-mail address, and close at midnight next Friday 31 October.